Charmian studied art in Liverpool back in the dark ages when the Beatles were fab and we could all do the twist without falling over. For many years she had a “proper” job in IT (in the days when it was called ADP) and painting was her hobby, but when the arrival of a son and heir necessitated working from home she turned to art and began taking commissions for portraits and caricatures. Originally her portraits were done in pastels, but, fed up with sweeping up all the pastel dust, she switched to oils and found her favourite medium. One of her favourite topics is wildlife, although she does enjoy painting domestic animals too – her two Golden Retrievers often unwittingly act as models for her. 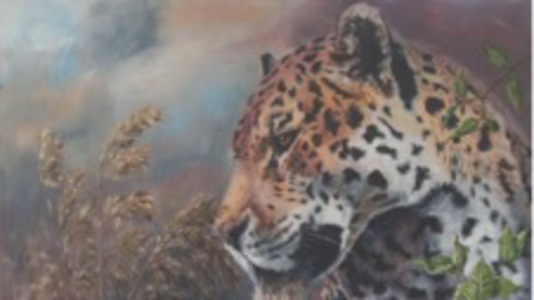 Charmian paints every day at her studio in Great Linford, rarely taking commissions so that she can indulge her love of painting animals, people and still life. 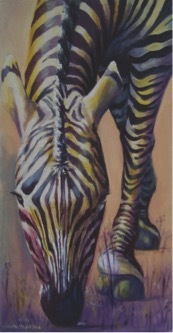 She is currently chair of Milton Keynes Society of Artists.